Finally (after months and months of work) I have completed a playable demo for The Ethereal Plains! I have tested and tuned it to a point where I feel confident releasing a demo. Report any bugs you encounter or offer constructive feedback. In addition, you can find the official thread for the project on the official RPG Maker forums. Made several performance optimizations in areas that previously slowed-down. Per some suggestions received, added some guidance for some of the more “cryptic” parts of the game. Notable in the sewers and Ocean View. Reduced the volume of the sound effects in the training scene. Resolved an issue with the game crashing due to a missing music file (referenced in a script). Resolved an issue where the player could get stuck in a NPC while moving. Resolved some (mapping) passability issues. Resolved an issue where it would always highlight the first character while selecting a target for spells that can only affect the caster. Resolved an issue with getting stuck on the edge of the screen while riding the logs in Verona Crossing. 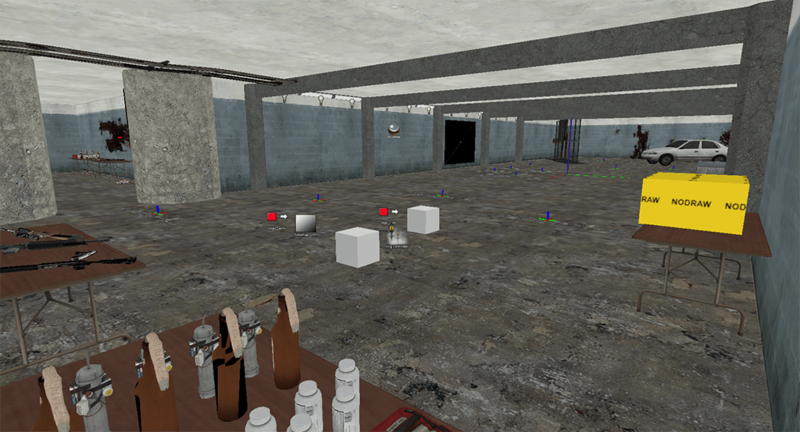 Resolved a switch conflict resulting in the command codes being automatically entered in the Mines. Added an ability to Alaric. Big thanks to Rev (Greg Owens) for reporting a handful of bugs and issues. I’ve continued making some steady progress on the game. Most recently I’ve added a new opening scene (after the world history one) with some initial opening credits as well as re-did some switches/variables to clean some things up. My only concern is the amount of cutscenes in the initial parts of the game. I may try to work some more gameplay in there so it doesn’t feel like the player is just stuck watching the game for the majority of the beginning… I’m finding it tricky though because there are items in the story I can only think to portray through cutscenes; short of letting the player roam around a small area in between story elements and dialogue. At that point though, is it even worth it? In addition, I’ve continued adding new items, armors, and weapons to the database spreadsheet (I would like to see them all side-by-side before I make the numbers official in the actual database). All-in-all, progress is steady, and now I am starting to work on some additional mapping while I brainstorm ideas for some more opening gameplay. With large amounts of work being done on The Ethereal Plains as of late, foremost among them has been mapping. Lots and lots of mapping. So as a bit of a side blog amidst the game development, I decided to show how I go about my environment mapping.